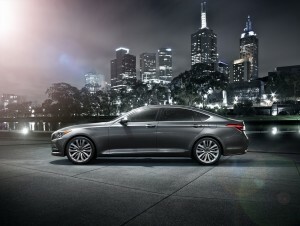 In 2009 Hyundai introduced their first upscale model, the Genesis. This full sized budget-luxury sedan was met with equal parts fanfare and pundits. As it turned out, Hyundai was right and this first generation luxury sedan brought credible success to this new sub-brand for the Korean manufacturer. We had the opportunity to drive several versions of the original Genesis sedan and we liked it, yet it lacked aplomb in its driving behavior. 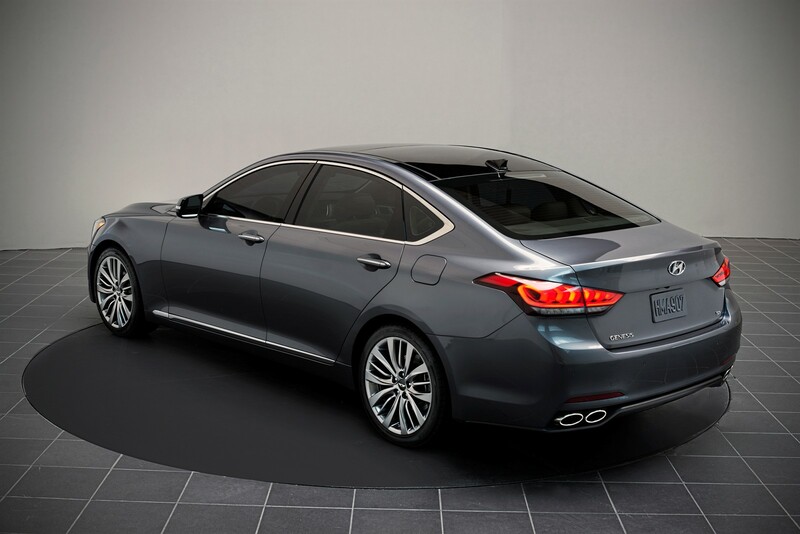 Six model years went by and Hyundai worked hard to redesign the Genesis which is now available as a 2015 model with two engine sizes, the 311 V6 or the high power buttery-smooth 420 HP V8. 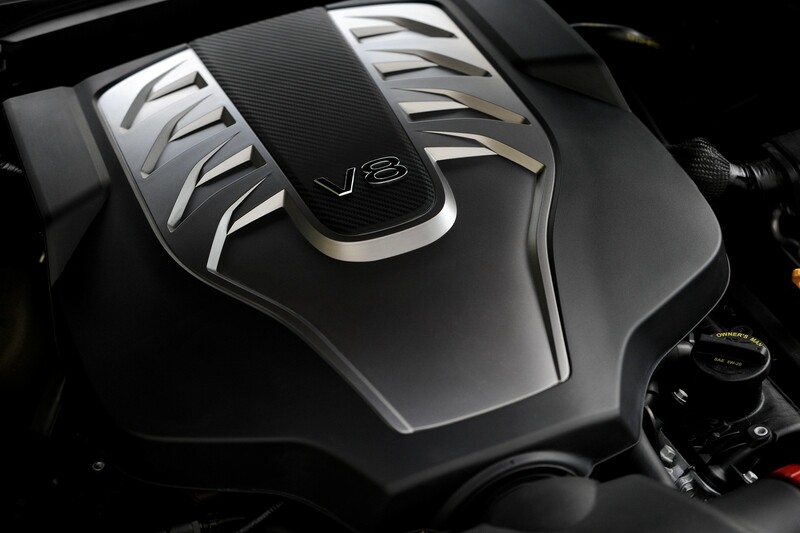 We drove the larger engine version for one week and came away quite impressed with the latest Genesis. The look is modern but not entirely original as Hyundai seems to still be experimenting both with the corporate look and logo design. 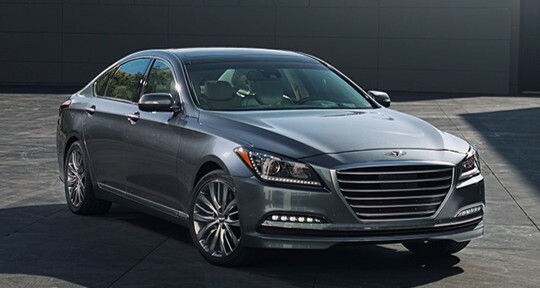 Although there are strong over-tones of Audi in the front grille and the rear quarter windows, the new Genesis is a gorgeous car from every angle. If you are lucky to live in a state that does not require a front license plate, the front new grille looks superb. The wheels are 19” alloys that look perfect on this sedan and the back-end looks as good as the rest of the car, topping off with elegant, angular dual corner exhaust tips. Once inside, the interior layout and material quality is a quantum leap versus the 1st generation model. 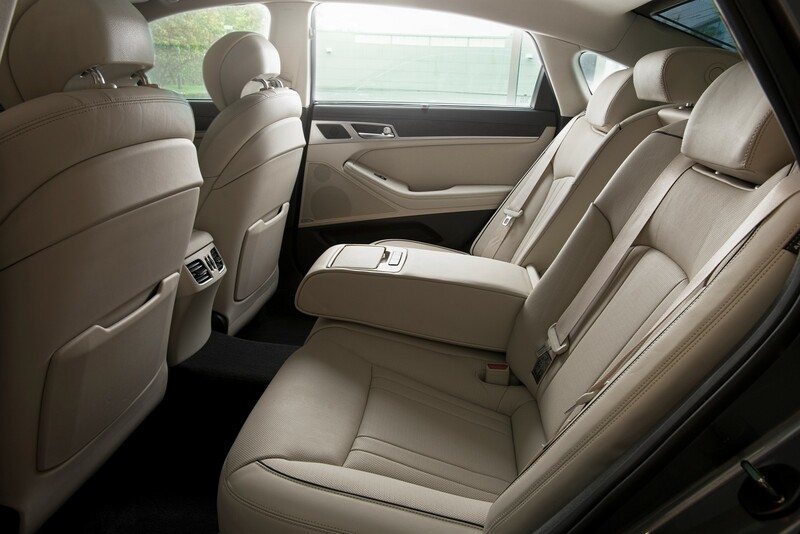 The seats look as good as they feel, the layout is clean, simple and modern yet offering a full array of technology items, which buyers have come to expect from a luxury sedan. The infotainment screen is large and easy to read, with controls that are straight forward and easy to use, and yes, there is even a tuning knob for the radio, praise the Lord! Rear seat room is spacious, offering manually operated side shade curtains and rear climate control. I loved the interior LED accent lighting as well as the clever Genesis winged logo, projected from the bottom of each mirror onto the floor every time the door is open and the lights are on, nice touch Hyundai! 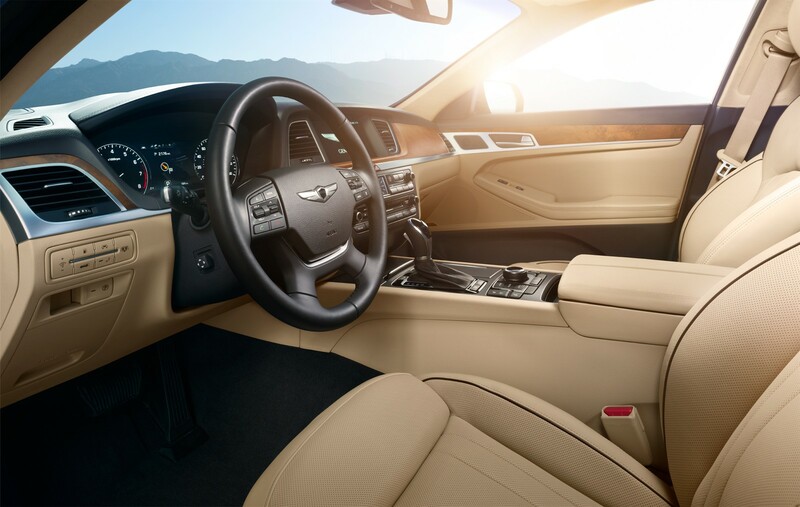 The driving experience in the 2015 Genesis 5.0 is a serene delight. But before we talk about that, I wanted to preface it with a coincidence. The previous week, I had as a test car, a full size sedan from a Japanese competitor costing thousands more and as it turns out, I liked the Genesis over that model hands down. One welcome change is the suspension, which Hyundai turned to Lotus to help them with the chassis engineering and it shows. While the 1st generation car lacked agility and depth in the suspension, the new Genesis clearly made up for it. I did some aggressive cornering and came away surprised at how compliant and strong this large sedan is. Steering is direct but not overly so. We especially liked the feel of the accelerator and brake pedals. The pressure amount in both is just right, making for effortless smooth driving, especially withtraffic starts and stops. On the last day with the Genesis I pulled up to a luxury hotel valet parking and noticed a gentleman looking at me, well, not really at me, he was looking at the car. As it turns out he walked over with his family and asked several questions about the new Genesis, he even took some photos. I thought to myself, wow, ten years ago no one would have done this, it’s a testament as to how far Hyundai has come. ← Cadillac is getting its Mojo Back!